Dr. Claire Henning is a product of 25 years of Catholic education. Claire received her Bachelor’s Degree in Music from Immaculate Heart College, Los Angeles, a Masters Degree in Pastoral Theology from Loyola Marymount University, Los Angeles, and a Doctor of Ministry Degree from the Catholic University of America in Washington, D.C. She was commissioned in 2009 as a Pastoral Associate in the Archdiocese of Los Angeles. Working in parish ministry since 1993, Claire has served with five different pastors, each with a distinct pastoral style. As her own pastoral education progressed she developed experience and leadership in various aspects of parish life. Claire’s liturgical duties have included lay presiding and preaching, liturgical planning, scripting prayers for various occasions, and oversight of art and environment. Her ministerial duties have included counseling, chaplaincy to primary grade school children, facilitation of Women’s Faith Sharing and parent spirituality groups, marriage and baptismal preparation, and funeral ministry. Claire oversaw Justice and Outreach programs, receiving the “Spirit of Giving Award” from Catholic Charities of Los Angeles in 2008. Claire is a certified submitting minister for annulments. Her parish administrative experience includes development and oversight of the parish website, as well as the creation of job descriptions and job performance reviews. 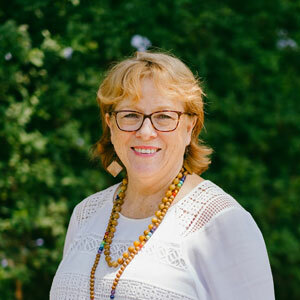 Claire has facilitated spiritual retreats and planning sessions for various groups including parish and school staffs, and developed an ecumenical pastors association that meets monthly in Westwood, California. She is also a member of the Catholic Theological Society of America. Claire and her husband are members of St. Paul the Apostle Catholic Community in Los Angeles. They have four grown children and one grandchild.